. . .or still feeling the effects? It's not the end of the world. Join us at a recovery retreat. A workshop for letting go of religious indoctrination and reclaiming your life. Led by Marlene Winell, Ph.D. , psychologist and author of Leaving the Fold: A Guide for Former Fundamentalists and Others Leaving Their Religion. January 7-9, 2011. Friday 5 PM - Sunday 3 PM. This weekend of healing and growth will be a powerful group experience with others who understand. Leaving your faith can create intense feelings of confusion, grief, anxiety, and anger -- but you are not alone. We'll spend time sharing stories and exploring key issues. We will also have activities, art, role-play, and guided visualization. And of course we'll have fun relaxing, enjoying good food, and making new friends. 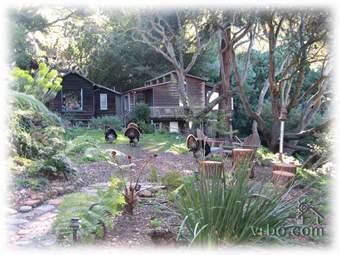 The place is a spacious retreat center in the Berkeley hills surrounded by trees and hiking trails. A deposit of $100 will secure a space. $25 discount given for full payment by Dec. 15, 2010. Financial need considered and options available. Be sure to inquire. TO REGISTER or for more information: Send an email to mwinell@gmail.com or call Marlene at 510-292-0509. Please feel free to call and discuss. Register soon to save a place. Group size is limited to 8. Retreat is in Berkeley, easy connections from San Francisco or Oakland airports. “Loved it. The exercises combined with the discussions really created a dynamic experience for me. The openness and the welcoming atmosphere made it easy and comfortable for me to share my thoughts and emotions." "I found the retreats enormously helpful, with a wonderful group of warm people who had been through much of what I had been through. Marlene is a uniquely gifted leader and therapist who understands like so few do what it's like to be in the middle of the all-encompassing religious life many of us former 'born agains' lived in. I HIGHLY recommend attending...you will not regret it." “I thought the variety of activities was wise. It pushed people out of their comfort zones in different ways. Head, body, and heart . . I have a tendency to stay too much in my head." “I see this as a powerful healing experience for most anyone recovering from fundamentalism. There are so few opportunities for people to talk face to face about the suffering that Christianity can cause or about the insensitive cruelties perpetrated in the name of God. Having others validate the experience creates a sense of confidence and clarity." 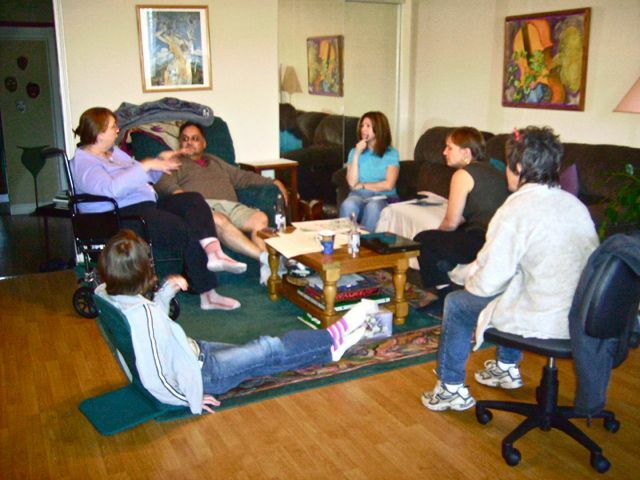 “A Release and Reclaim retreat is a great way to connect with others and reaffirm that you are not alone in your healing process. We were able to identify our own hidden issues through others stories. 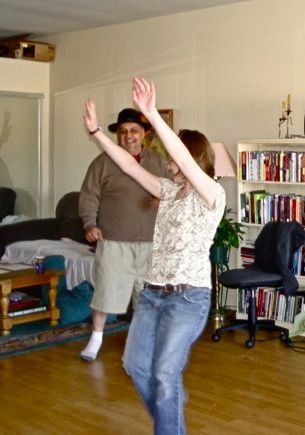 "Your retreat really helped me out tremendously. It helped me gain clarity, focus, and to begin to really deal with the aftermath of my fundamentalist and cult experiences on a heart level, which was what I needed especially after working through everything intellectually." "Speaking as a person who has attended three or so retreats organized by Marlene (intended to support the deconversion process), I would just like to say that attending a retreat, if at all possible, will be one of the smartest things you ever do. I was *very* scared to attend one. And it was really intense being at one of Marlene's retreats and confronting what I had been taught in Sunday school and coming to see it as the poisonous indoctrination it was. However, I am so, so, so glad I went and got help and had Marlene to talk with me and work with me. I know our economy is in a recession but if you have any inclination to attend one of Marlene's retreats, I can't recommend it highly enough. Super helpful! She's knowledgeable, organized, and healthfully irreverent. All the retreats I've been a part of have helped me tremendously. "I can speak about these retreats first hand. I attended Marlene's retreat last summer. At the time, I had been doing a lot of reading. Intellectually, I was already an atheist. Emotionally, I was a real mess. Don't get me wrong, I wasn't suicidal or anything, I was just feeling a bit like Neo in the Matrix: everything I had been taught to believe was wrong. What the retreat did and what Marlene and the other did, was give me the courage to trust myself and follow through. It has been six months. I am in a much better place. "Marlene Winell is a gifted workshop facilitator who provides a safe, nurturing environment for healing work."